The invitations are out and the bubbly is chilling. Get ready, IMAGE Skincare fans: The launch of our new product line is around the corner and we are gearing up for a party! And what a party it will be. On March 14, at more than 85 events around the world, we will offer skincare professionals, physicians and licensed aestheticians a sneak peek at our lavish new IMAGE Skincare products. Those invited to these exclusive events should prepare for spa-style pampering. Our lux new products will stimulate the senses and soothe the soul as skincare professionals experience demonstrations and visit sampling stations. We can’t wait for our guests to try the products we know they will adore. And because we know it is important for our clients to have access to the latest, most advanced skincare essentials before the other guys, professionals who attend the parties will be able to buy our new products before the rest of the world even knows they are available. Shhh! We won’t tell if you don’t. This year’s events—in cities from New York to Milan to Dubai—will present a revolutionary slate of skincare products, the latest from a company dedicated to bringing the most environmentally friendly and scientifically advanced skincare treatments to its worldwide clientele. “Each year IMAGE Skincare just gets better and better. I’m thrilled to unveil our new products to the world,” said Janna Ronert, our IMAGE Skincare CEO and founder. 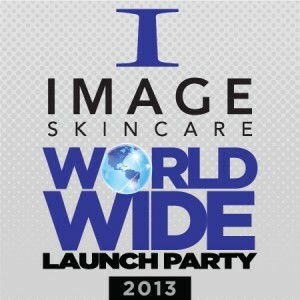 For more information about the 2013 Worldwide Launch Party and IMAGE Skincare’s new treatments, call the customer care center at 1-800-796-SKIN. Please send me more info on the new product launch! Thank you!! This is so exciting. I wish I was able to attend and I’m looking forward to hearing about the new products!